I must admit I wasn't a big fan of these at first, but it grew on me. The first time I tried one on was the beginning of last year, a light denim pair that reminded me of what Cressida Bona wore to Glastonbury back in 2013. Not only was it on sale, my size was there too. However I didn't know what to think when I tried it on, not sure I was ready for it. Although I wanted it, it just wasn't going to work and needless to say, it was very difficult to put back. 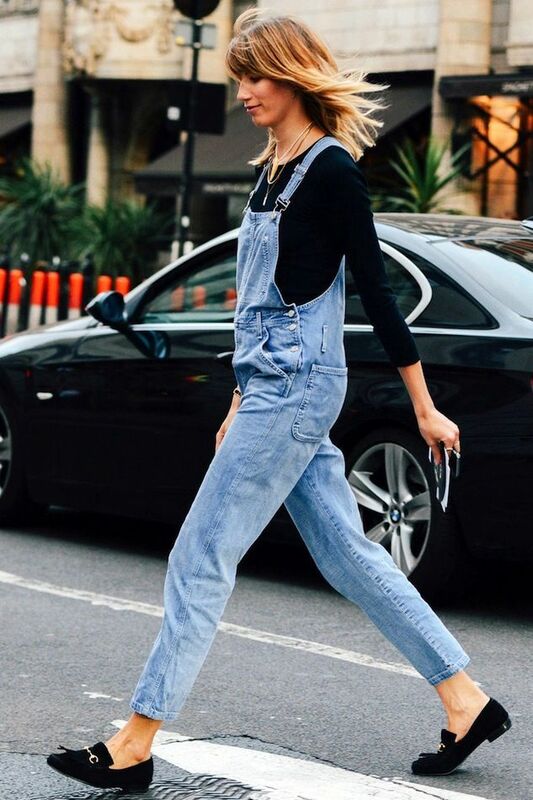 A year later, not knowing I was still in search for the perfect pair, I came across a pair of black dungarees and I fell in love with it. Although not blue denim, nonetheless it is perfect for me. I’ve dressed it up and dressed it down on these photos. There're so many choices on the high street this year, and it is definitely an easily wearable outfit for this spring. 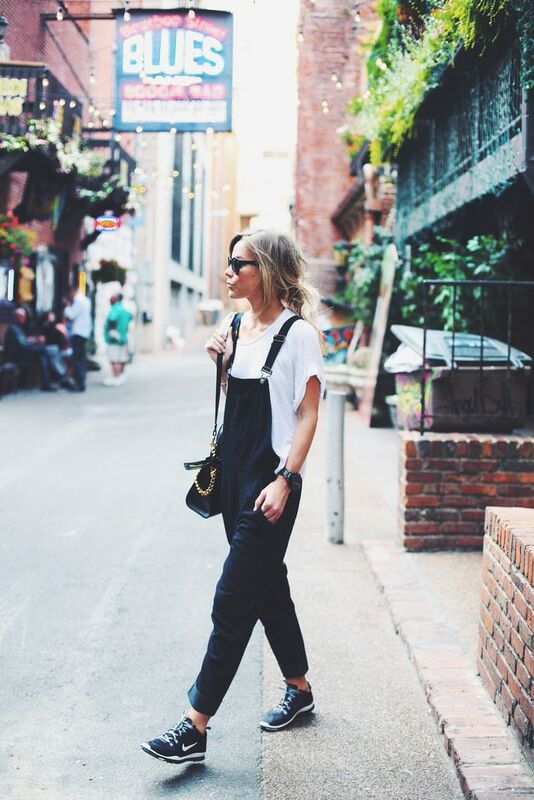 Here are a few of my favourite dungaree looks from Pinterest.